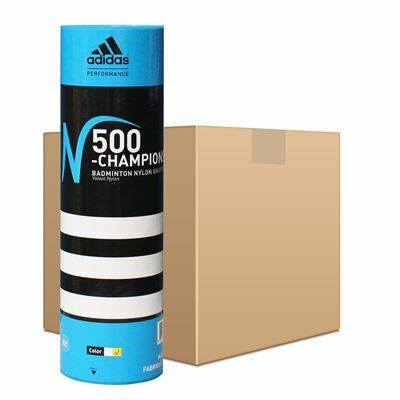 The adidas N500 Championship are a great choice for both competitive players who seek a feather-like playability and novice players who need a durable synthetic shuttlecock for training purposes. These premium grade badminton shuttlecocks comprise of a natural cork base and a quality nylon skirt and have been developed using aerodynamic innovations that ensure a highly stable flight similar to that of a feather shuttlecock. They are supplied in a 50-dozen pack. for submitting product review about adidas N500 Championship Badminton Shuttlecocks - 50 Dozen.